I’ve mostly been running and strength training for this mini Triathlon coming up in a few weeks. I’ve been on the trainer with my bike, but have not actually been out on a bike ride! The past few weekends have been busy. So yesterday when my hubby got home early, I decided it would be a good time to attempt the bike. Not really. Down I went and off to the ER! 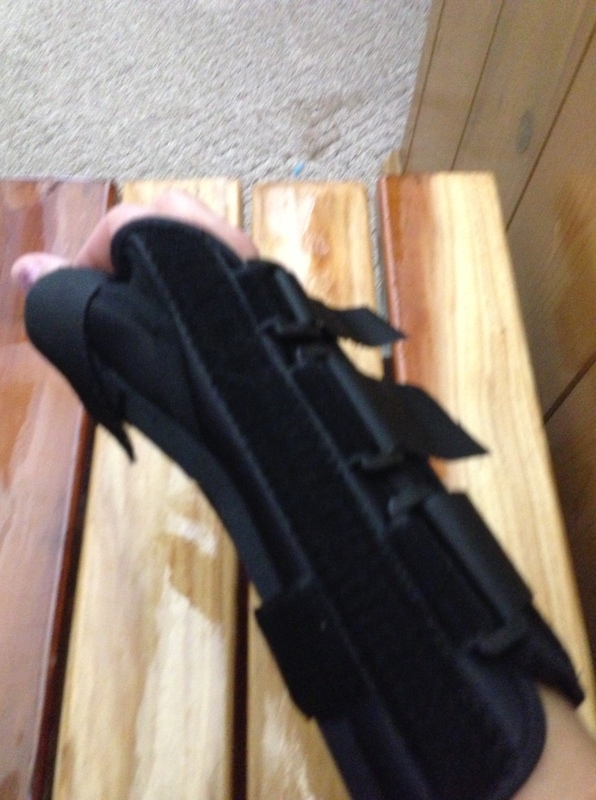 Luckily I only sprained my wrist! But its going to slow me down for a few days. Here is a picture of the lovely contraption I get to wear! Oh, and I’m right handed! Goodness! Thank goodness it was just the wrist. Swimming will be good for it!